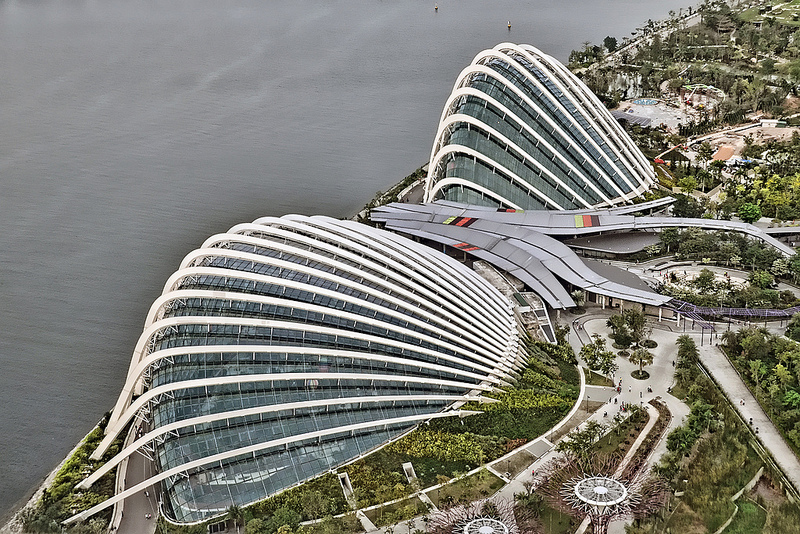 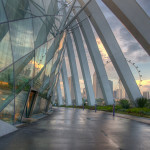 Last week, England-based architecture firm Wilkinson Eyre Architects was announced as the recipients of the 2013 Royal Institute of British Architects’ Lubertkin Prize for their recent international project Cooling Conservatories, Gardens By the Bay in Singapore. This is the second consecutive year the firm has been awarded the prestigious RIBA prize for best new international building. 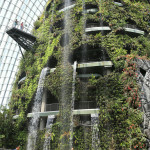 Last year, they won the title for the Guangzhou International Finance Centre in China. 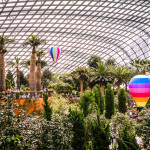 Cooling Conservatories consists of two massive climate-controlled conservatories, among the largest in the world, whose design allow for a cool-dry growing environment, instead of the warm, humid climate of a typical greenhouse. 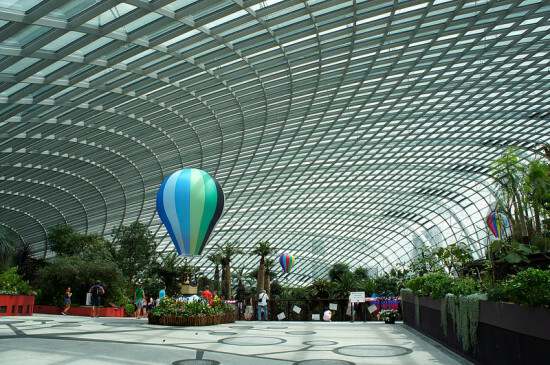 Sustainably constructed with low-energy glass, the biome structures are carbon-positive—they off set more atmospheric carbon dioxide than they emit. 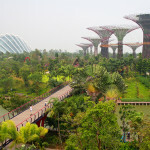 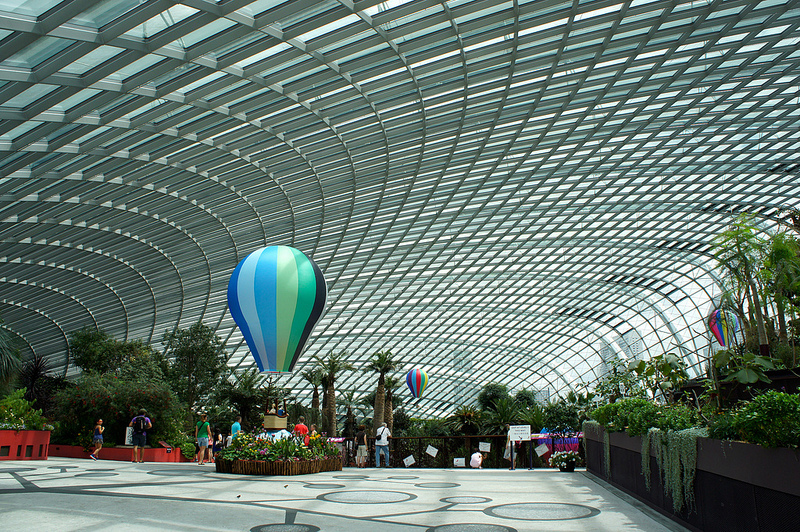 Located within the Gardens By the Bay tourist attraction, Cooling Conservatories allow visitors to experience world ecosystems most at risk from climate change. 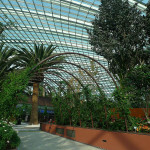 The greenhouses support a variety of flora and fauna environments and include a waterfall, mountain, and vertical gardens. 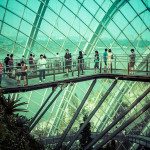 Helical pathways lined with educational climate change exhibitions take tourists through the buildings in dynamic design.